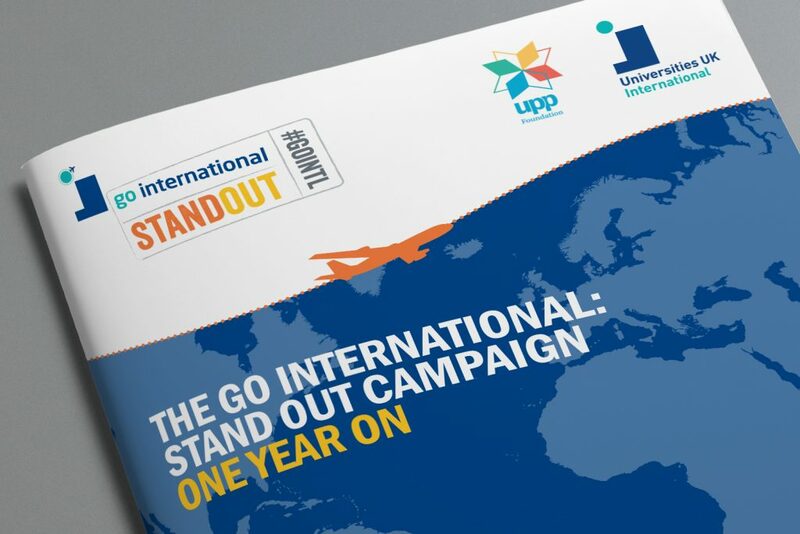 In 2017 we designed the logo and launch materials for the #GoIntl Stand Out campaign which aims to double the % of UK students studying, working or volunteering abroad by 2020. 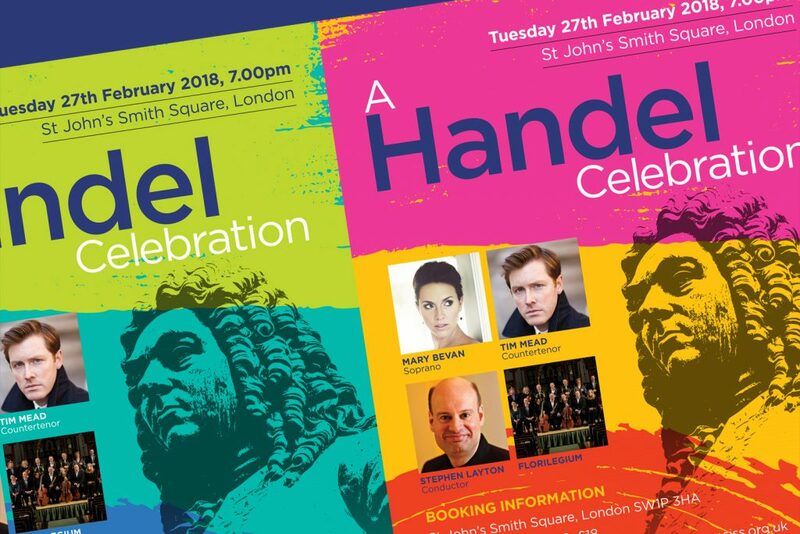 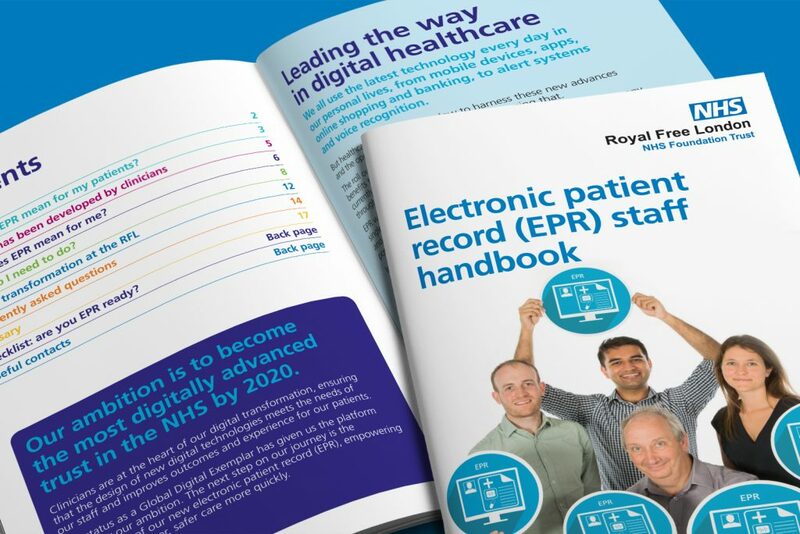 A new 2018 booklet was commissioned to celebrates the first year of the campaign and highlight its successes. 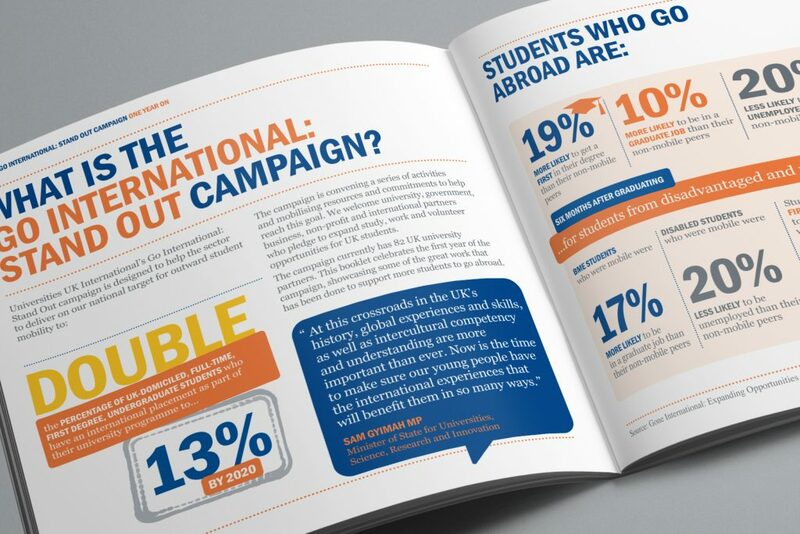 We designed a 16-page square format document that updates the campaign’s achievements in its first year. 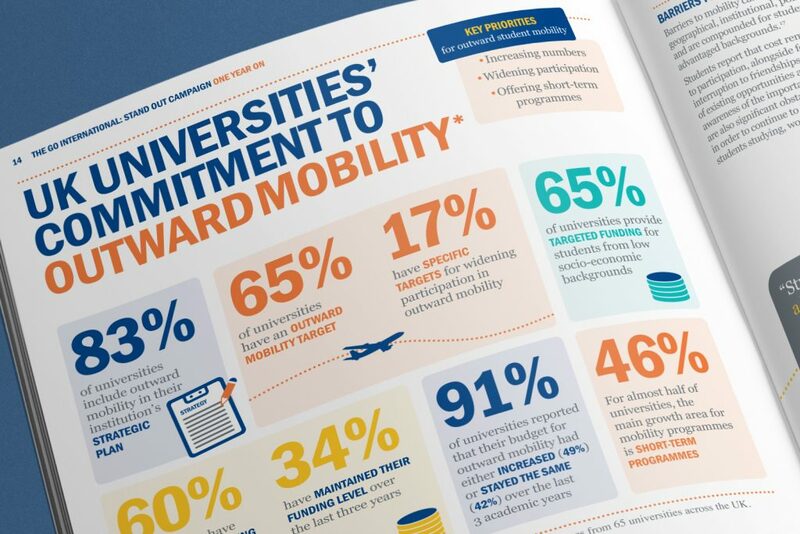 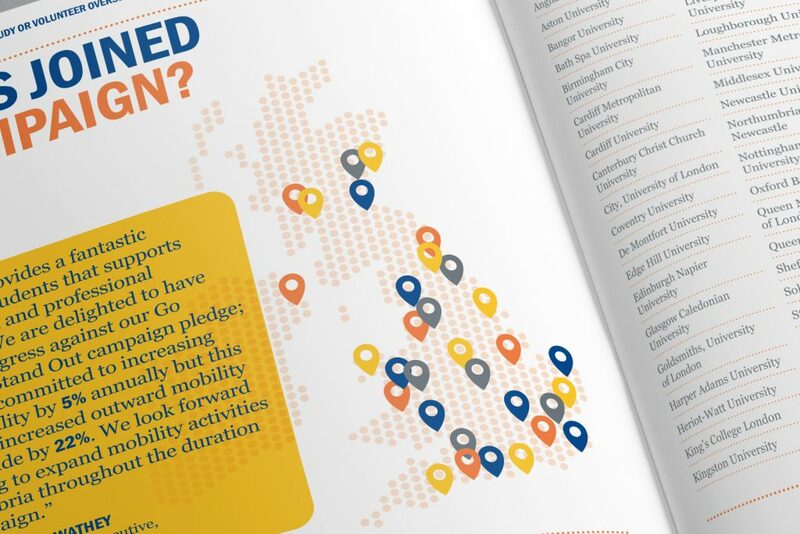 83 universities have signed up to the campaign and committed an action to increase student mobility. 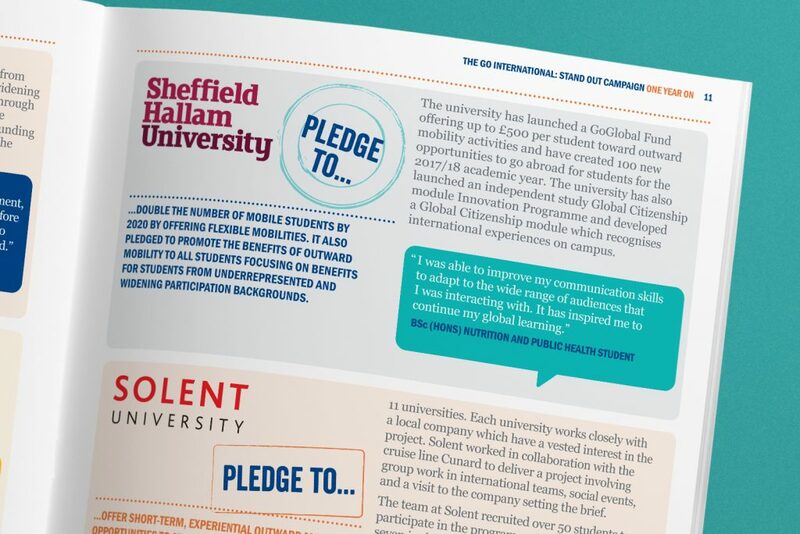 Many of these pledges are highlighted as case studies in the booklet. 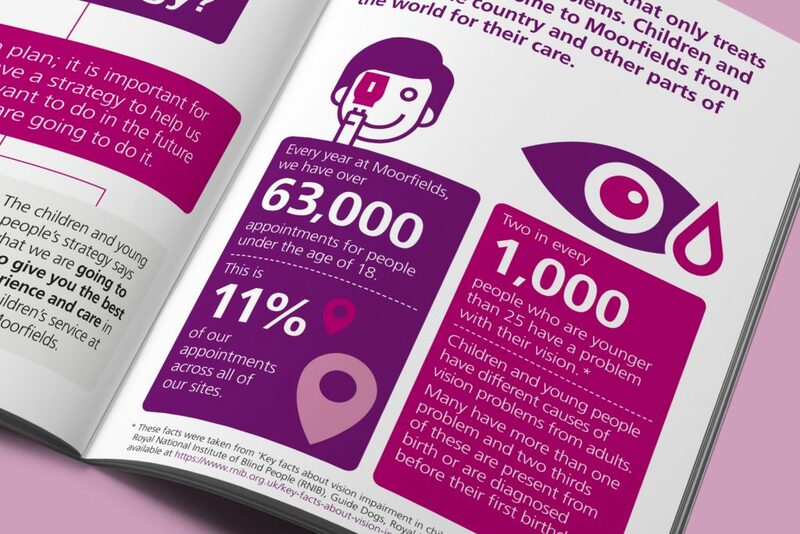 We used infographics, key statistics and the bold campaign colours to produce a dynamic impactful layout.